There are three main focuses for much of the burgeoning medical technology on the scene currently: improving treatment outcomes, increasing medical services accessibility, and reducing healthcare costs. Strategic use of artificial intelligence, and machine learning technologies has the greatest chance of making a meaningful impact in these areas. In this report, we will dig into the potential impacts and emerging technologies in each of these areas. AI-Powered Imaging: Healthcare organizations are in early stages of testing and developing AI-powered radiological tools that will allow support accurate, non-invasive diagnostic imaging. Radiological images obtained by current tools such as MRI’s and CT scanners offer one level of diagnostic data - but often require a more invasive tissue sample or biopsy to be performed to fully finalize many diagnoses. The biopsy process carries with it inherent risks of infection and other complications. Healthcare organizations are beginning to delve into the ways that artificial intelligence can be used for imaging - something that has the potential to not only increase the accuracy of diagnoses, but which may also allow medical professions to develop a stronger understanding of how tumors and cancers behave in a larger sense. Providers may be able to leverage this sort of technology to better define the aggressiveness of illnesses such as cancers, and to better target the associated treatments. In an October 2016 interview with Stat News, Dr. Ziad Obermeyer, an assistant professor at Harvard Medical School, stated: “In 20 years, radiologists won’t exist in anywhere near their current form. They might look more like cyborgs: supervising algorithms reading thousands of studies per minute.” Until that time, research is being done by groups such as Google's Deep Mind group, looking at how machine learning can improve the speed and accuracy of radiological imaging - and how insights can be improved. Health Monitoring: More than 20% of the US population is forecast to be utilizing wearable technology by the end of 2019. With easy access to the data provided by these wearables, doctors have the benefit of access to recent historical data on basic health metrics such as sleep quantity and quality, activity levels, and heart rate. Access to this data alone provides an opportunity for greater healthcare analysis and diagnosis. Organizing & Interpreting Large Data Sets: In every medical treatment scenario, there is data created by the provider and payer - notes, conversations, diagnostic data and payment data. With the wider implementation of Patient Portals, there is often data generated directly by the patient as well. In the face of continuous medical service delivery, medical organizations find themselves at the mercy of the data, rather than empowered by it. The organization and interpretation of medical data (Clinical Informatics) on a large scale presents an opportunity to get a greater understanding of the behavior of patients and the impact of their illnesses. When data is gathered, it can be utilized to create and train models for improved diagnostic outcomes. One example of this at work is the TREWS or Targeted Real-time Early Warning System. The scoring system deploys machine-learning methods inside hospitals to help identify septic shock earlier in patients in order to save lives. For patients with sepsis (the 11th highest cause of death in the US), a diagnosis made just a few hours earlier can mean the difference between life and death. TREWS analyzes data from past patients in order to identify signs and symptoms that appear in patients with sepsis. TREWS leverages machine learning, which can spot trends and patterns that often go unnoticed by physicians. The TREWS score accurately predicts septic shock in 85 percent of cases without creating a false positive. AI-Assisted Treatment: The European Emergency Number Association (EENA) just announced their partnership with Danish AI startup Corti. Together they will implement cardiac arrest-detecting AI for emergency call services in Europe. The year-long joint initiative will be launched in four European countries and will provide real-time decision support for emergency dispatchers, effectively enhancing human decision-making skills with AI. During the call, the data is analyzed and compared with historical data collected from millions of previous emergency calls, which is how the platform learns over time. As understanding of the incident increases during the call, Corti will learn to predict the criticality of the situation, delivering real-time alerts and recommendations to the emergency dispatcher. In a recent article, Mitul Makadia, CEO of Maruti Techlabs, highlighted the use case of intelligent chatbots in medical scenarios. Intelligent chatbots have the ability to guide concerned patients through their symptoms to help them gauge the severity of their ailment. 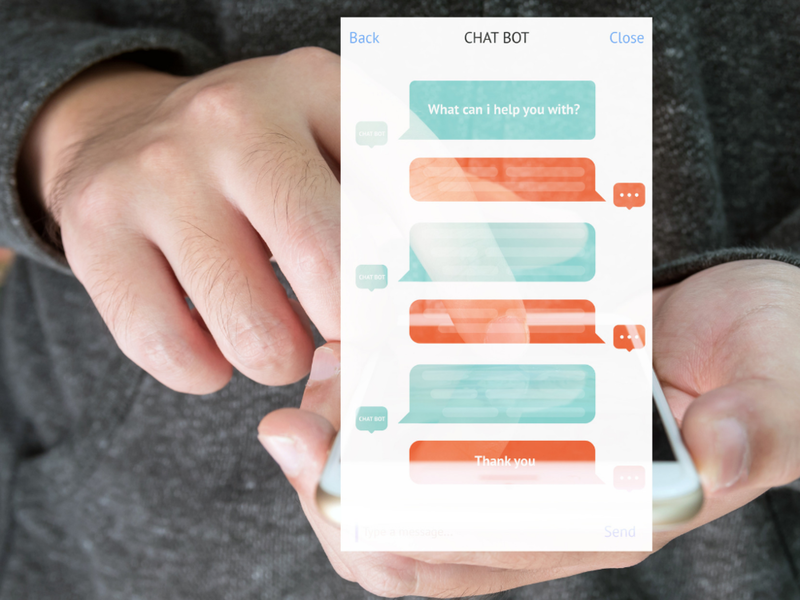 If a patient presents with symptoms that fall outside normal parameters, the chatbots can help alert a nurse or doctor to respond to the inquiry as needed. They can also serve a medical customer service role, helping patients schedule appointments at any time, day or night, without need of a customer service team or physician to manage the interaction. Chatbot: Hey Jeff! What can I do for you today? Patient: I’m running a temperature and getting the chills. Chatbot: I’m sorry to hear that. The data from your smart band shows a temperature of 101 F with a regular pulse. How long have you been getting the chills? Chatbot: I recommend you see your GP Dr. Susan. I’ll go ahead and schedule an appointment. Shortages of healthcare providers and diagnostic tools in poorer and rural communities typically means that the population residing in those areas receives poorer healthcare services and enjoys a lower quality of life. Artificial intelligence and machine learning tools have the potential to empower small town medical providers with a global set of data and medical insights to inform their care. By implementing cutting edge technologies in these areas, there is the opportunity to provide the residents of these areas with higher grade medical services, similar to the services they might have previously only received by traveling a great distance to see a specialist. Many newly-developed AI diagnostic tools fall short in performance when compared with human experts in certain specialities, they still perform incredibly well, and as they continue to learn and be trained with data and diagnostic experiences, they are likely to surpass even the best medical specialists. Additionally, Many hospitals cannot afford the best experts, but they could potentially afford some of the diagnostic technology that comes very close to their level of expertise. In many remote or war-torn areas, hospitals have to refer patients to travel long distances to seek out diagnostic and curative treatment for rarer illnesses that require access to a specialist. If more hospitals could have access to these AI-powered diagnostic tools, then these medical centers could provide a higher degree of care for nearly any condition they encounter. Rather than training every doctor in the world to recognize every disease, they can train just 1 AI-powered system. Hospital pharmacists often spend hours reading charts each day, prior to heading out onto the hospital floor to dispense needed medications. AI assistance to speed up this process for all healthcare workers would serve to shift the time spent by healthcare workers onto patient care. Technology already exists to summarize huge swaths of text into easy-to-read high level summary reports. Physicians, nurses, pharmacists, and other healthcare providers collect and share data to formulate and execute upon treatment plans for their patients. Along the way, they are heavily reliant upon smart phones, tablets, laptops and other devices to help them gather and distribute data and orders. All of this information must be collected, stored, interpreted, analyzed and utilized to assist in patient treatment. Clinical informatics experts in hospital systems are increasingly beginning to implement machine learning and artificial intelligence tools to help aggregate and analyze data quickly. In an interview with Philips Healthcare, Dr. Vinay Vaidya, the Chief Medical and Information Officer of Phoenix Children's Hospital said, "When you get data from different sources, bring it together in a meaningful manner, and display it so that what's invisible is visible - it was right in front of your eyes - but the patterns were not there, the visual was not there, the story was not there - so that is really the art and science of data science, dashboards and visualization that we have begun to realize have tremendous benefit to our providers who take care of the patient." In the instance of the TREWS sepsis prediction and scoring model mentioned earlier, the model is analyzing data that has already been gathered in the normal course of patient treatment and predicting oncoming septic shock with an 85% accuracy rate. Models such as TREWS (Targeted Real-Time Early Warning System) are able to infer greater insights from the data on hand in order to provide greater diagnostic insights. This can be done without additional costly tests. Artificial Intelligence and machine learning technologies are revolutionizing the field of medicine for the better - providing a better diagnostic and treatment experience - and greater access to medical knowledge and treatment for all. The speed at which these technologies will be implemented will be dependent upon the pace that physicians and medical staff accept their implementation. 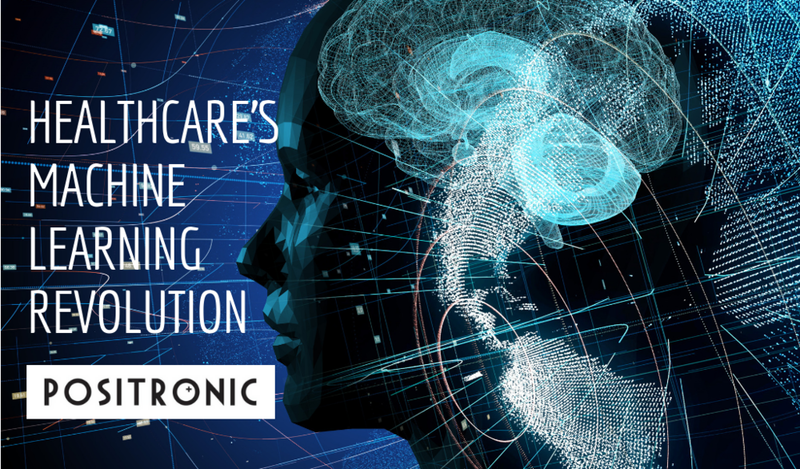 Initial forecasts are projecting that the market for artificial intelligence in healthcare will reach $6 billion or more by 2021. The time to invest in the implementation of these technologies in now. Contact our team to learn more about how we can help you harness the power of your organization's data to improve patient care, to increase productivity, and reduce unnecessary overhead. Move your organization into the future, and achieve even your most audiacious business goals. Positronic is a St. Louis-based artificial intelligence and machine learning consulting agency, developing smart apps and smart devices that fuel business. The team of data scientists and developers work to learn what fuels your business, and then develops the software and hardware solutions that will give you a competitive advantage in your field. Contact us to learn more and to discuss your business needs.